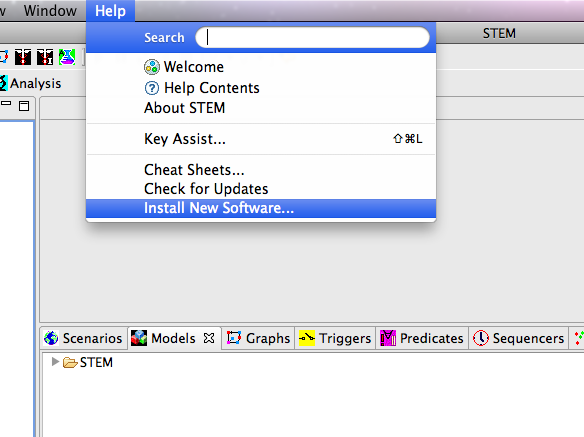 STEM now offers the ability for users to selectively "add-on" new features not bundled with the main STEM download. This enables us to deliver rich new functionality that ordinarily couldn't be made available due to size or other concerns, such as additional denominator data or disease models. 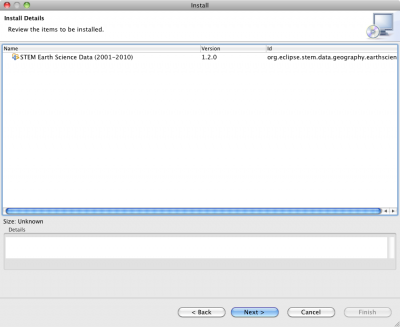 STEM utilizes the Eclipse Update mechanism built into the application to select, download, and install additional features. Open the STEM application. Make sure you're running STEM version 1.2.1 or later. 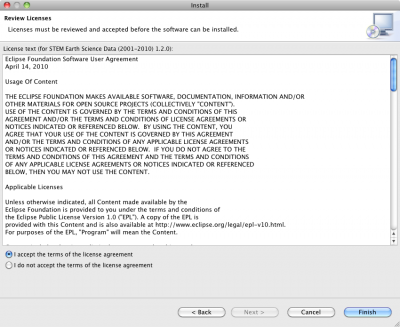 On the Review Licenses page, read and accept any licenses associated with the features. 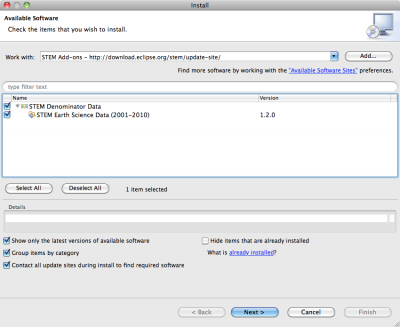 The installer will now begin downloading the selected features. Depending on the size, this process may take a while. 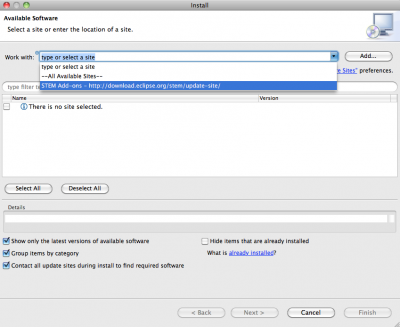 Important note: STEM Add-on features are hosted by the Eclipse Foundation and approved by the STEM project. These add-ons pose no security risk. This page was last modified 16:13, 26 December 2011 by James Kaufman. Based on work by Matthew Davis.